The worst mistake anyone can make in life is to enter into a wrong marriage as such mistakes usually leave an ugly scar in the life of such person. Many ladies want to get married because their mates are getting married or they are getting old. They do not mind if they are wife material or not. It's better to be single than go into a bad marriage. Men on their side, sometimes rush into marriage because their age mates or age group are getting married. The society and some parents sometimes mount unnecessary pressure on their children to get married and this makes them desperate to accept anyone who comes their way. 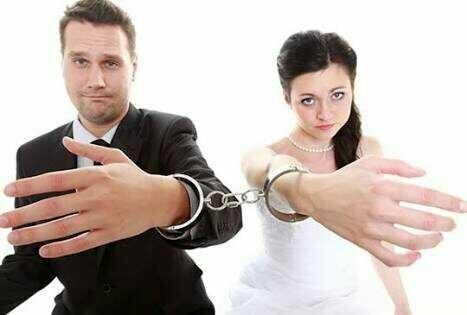 The annoying aspect of the societal influence is that the moment such forced marriage starts deteriorating, the same society will not help out. So many people today especially Christians have made wrong marriage decisions because of words of prophecy. You need to confirm the vessel through which the prophecy is coming from before venturing or obeying such prophesy as the society is today filled with many fake prophets whose stock in trade is to deceive people. Marriages established on the basis of such prophecies has been found to end sooner than imagined. Marriage is sacred and cannot stand on falsehood. Some people have made marriage decision simply because they are sympathizing with someone and will not want to disappoint them. Unfortunately, in less than three years of such relationships the sympathetic reason for contracting it dies away which often destroy the marriage. Going into marriage is a decision that one need to take without any negative influence from anyone as only the partners will bear full responsibility of any negative outcome of the marriage. No wonder my mum often tell us that marriage can be compared to what looked like heap of burning coal which you must pick from, if you pick the right one, you will enjoy the rest of your life, while picking up the wrong one leaves you miserable for the rest of your life. Be wise and seek God's grace while making the choice of marriage partner. It's best to consider your opinions before getting into it. I tried to join the whatsapp group through the link but it has being revoked how do I join?